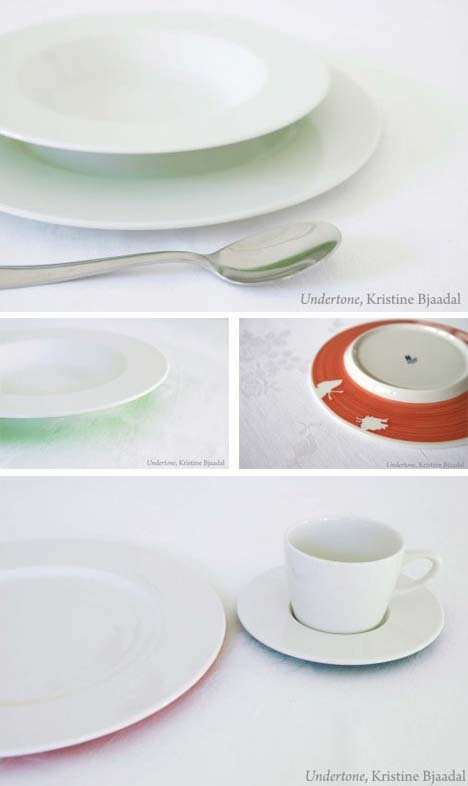 Kristine Bjaadal creates objects with hidden stories to tell – everyday objects with secret tales shown only under strange circumstances, such as tabletop spills or time-worn seating. 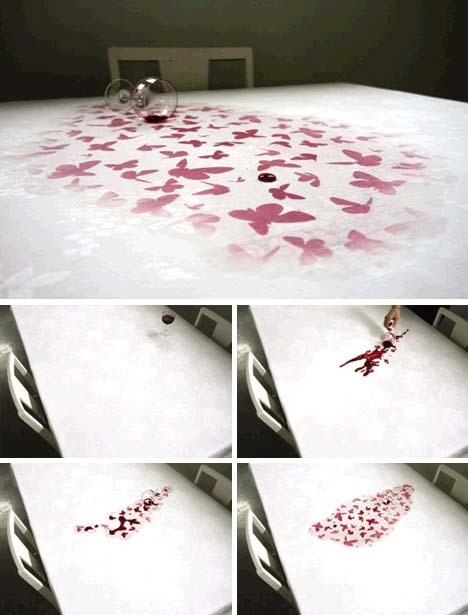 A small change making a big impact on the future is known as the butterfly effect. 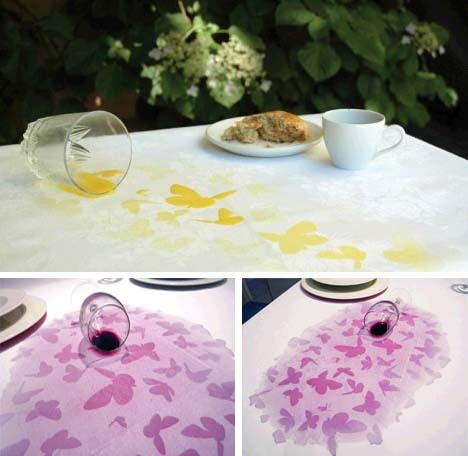 In this case, the accidental tipping of a glass reveals a flock of butterflies lying invisible but in wait right on your tablecloth, titled Underfull. 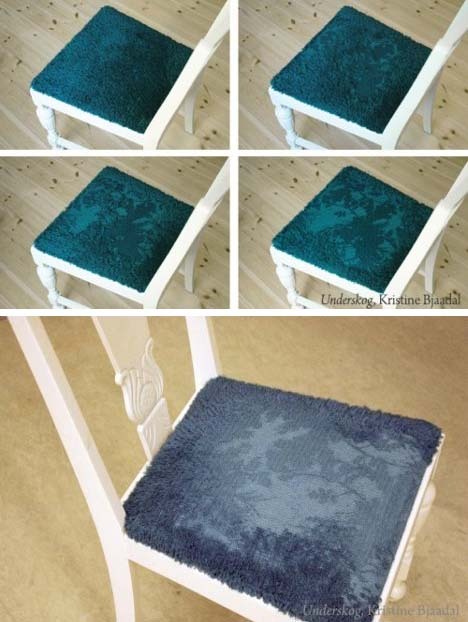 Or consider the inevitability of fabric wearing thin on your favorite upholstered chair – what if that almost-invariably negative process were turned into something positive, via, say, a pattern that emerges as the surface material layer gets slowly stripped away, named Underskog. Along similar lines, but requiring less time (but perhaps some until you or your guest notices it), are these so-called Undertone dishes with out-of-sight rings of color below their raised edges. It is only when picked up – or better yet: spotted in reflection on the top of a table – that these tones become clearly visible.